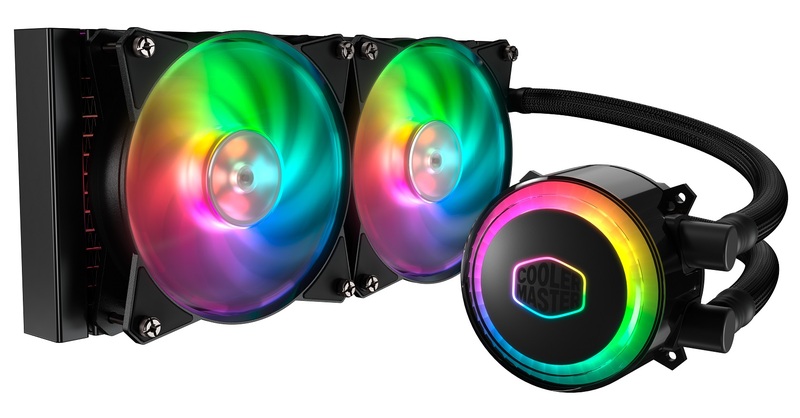 We had a feeling that 2018 wouldn't see a decrease in the amount of RGB-enabled products coming to market, and Cooler Master's latest liquid-cooler seems to confirm it - the MasterLiquid ML240R RGB has not just RGB lighting, but addressable RGB lighting, so you can don some funky rainbow lighting effects or simply tinker with individual LED colours. The cooler is similar to its non-RGB counterpart, the MasterLiquid Pro 240 and indeed the MasterLiquid ML240L RGB, which sports standard RGB lighting. However, the difference here is that in addition to addressable RGB lighting giving you control over individual LEDS, the MasterLiquid ML240R RGB has far more extensive and punchy lighting that extends to two areas on the pump as well as the fans. The MasterLiquid ML240R RGB is a two-fan affair, and sadly despite the price you only get enough fan screws to mount the included pair of fans. 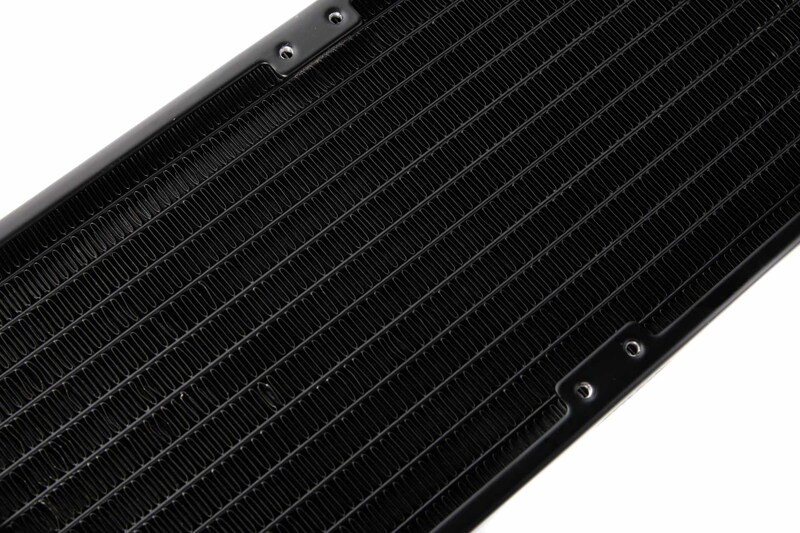 While we're only dealing with a 27mm-thick half-height radiator, given the fairly dense array of fins, adding a second pair of fans in pull mode might well yield some decent performance improvements, but alas. The pump section is where most of the action happens, as it has its own RGB LED cable plus a three-pin power cable - the latter meaning that you can control its speed and therefore noise via your motherboard. For Intel sockets, a pair of slide-on brackets allow for every desktop socket back to LGA 775 and LGA 1366 to be supported, which is great news, with installation requiring a backplate and small nuts that secure from the CPU socket side. It's a tad fiddly but doesn't take long. AMD, on the other hand, is blissfully simple thanks to the use of clips that make use of the standard AMD mounts, so there's no need to remove these or the backplate. The downside is that this isn't a particularly elaborate way of mounting coolers, but we'll let the results speak for themselves. The pump uses a dual-chamber design with an in-house designed impeller that enhances liquid pressure, with the top side sporting 12 addressable RGB LEDs. Cooler Master has added braid to the tubing too, which definitely looks better than rubber mixed in with the glossy pump and fan finishes as well as the lighting. The RGB lighting looks fantastic and is vibrant and punchy, but it is a tad complicated, with a mix of three-pin and four-pin support, but an included controller connects everything together and has a range of inputs and can also be controlled by most motherboards too. The video below gives a good overview of how it functions.